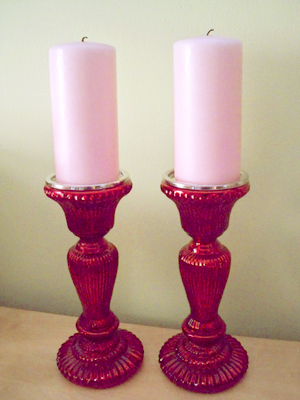 Aaron won these candlesticks at his office holiday lunch. I was going to put them away for the season, but he pointed out they would work for Valentine's Day too. He was right. Especially with pink candles. (which are harder to find than you would think) I love pink and red together!